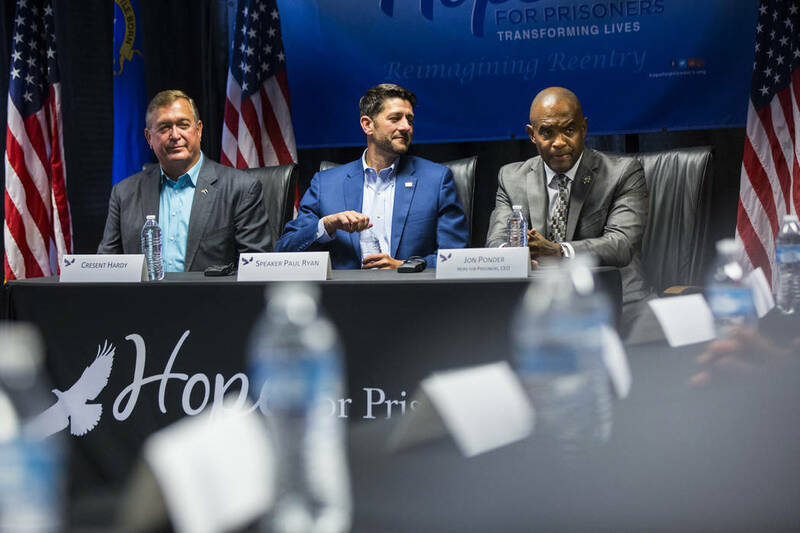 House Speaker Paul Ryan joined former U.S. Rep. Cresent Hardy in Las Vegas to take part in a panel on criminal justice reform with participants of a program that Ryan says should be an example for the entire country. 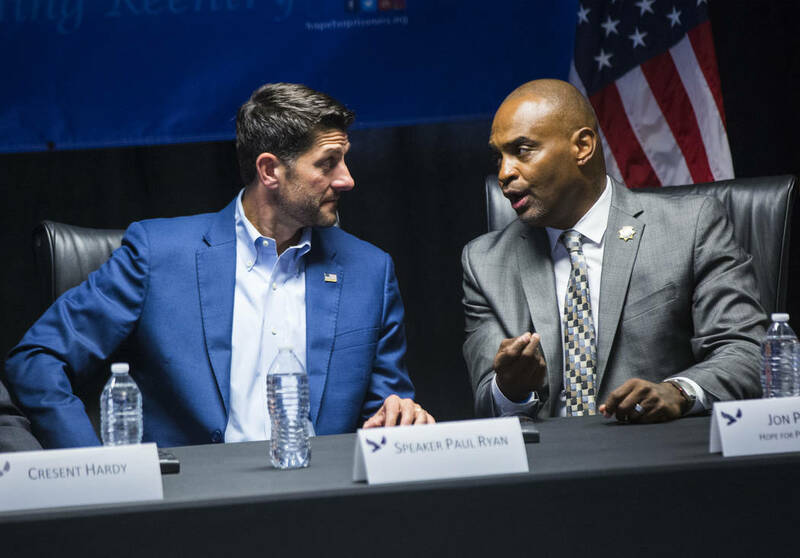 House Speaker Paul Ryan joined former U.S. Rep. Cresent Hardy in Las Vegas for a panel discussion on criminal justice reform with participants in a program that Ryan says should be an example for the entire country. 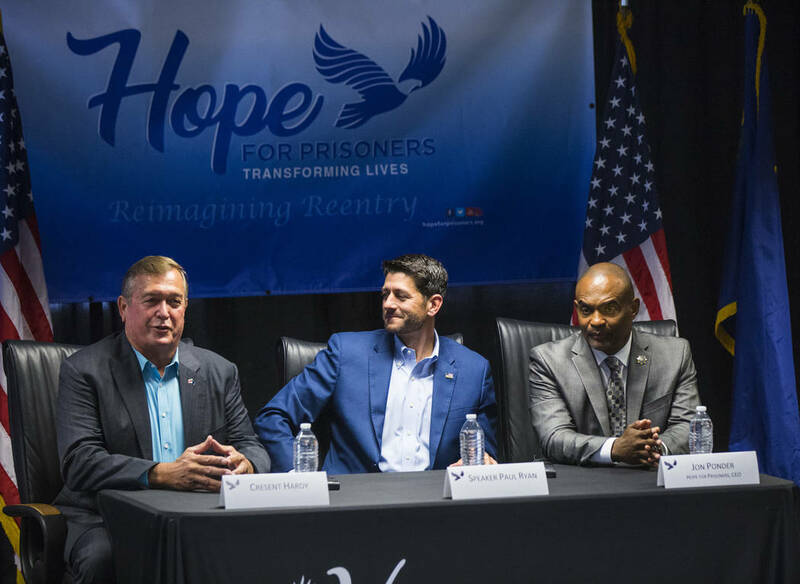 The private discussion, held at the Las Vegas-based Hope for Prisoners office, included law enforcement officials and elected leaders such as Clark County District Attorney Steve Wolfson, Secretary of State Barbara Cegavske and former Nevada Gov. Robert List. 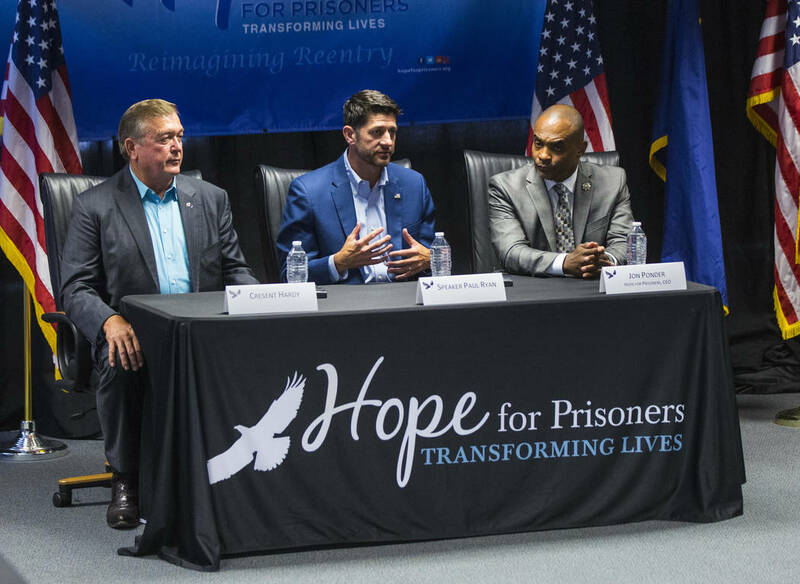 Ryan, R-Wis., said the Hope for Prisoners model is proven and commended CEO Jon Ponder, who spent nearly four decades in and out of jail, for helping ex-offenders avoid returning to crime. Following opening remarks from Ryan and Hardy, the discussion was closed to reporters. Officials said that was to protect the identities of former prisoners. Hope for Prisoners helps people adjust to life after incarceration through faith-based mentoring, classes and job placement services. 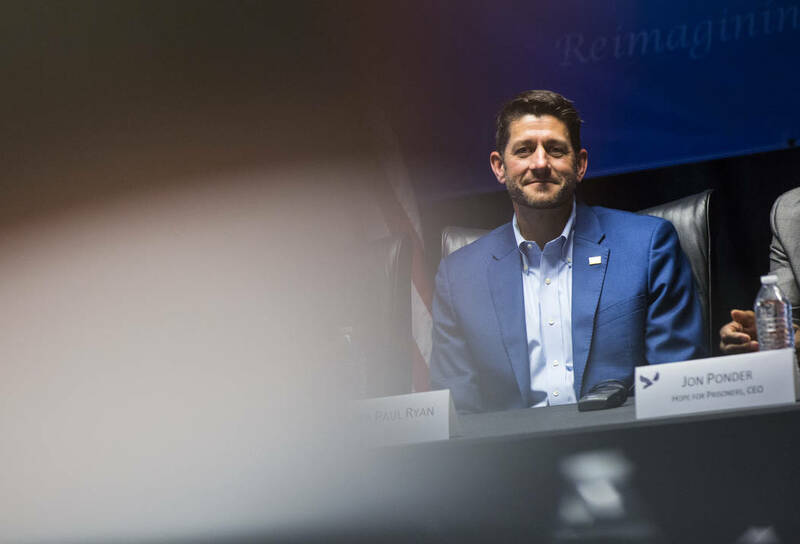 “We believe that we need to do more to redeem people in our communities and to help people get back on their feet and get back to redemption and to find great lives,” Ryan said, adding that Congress is working on legislation to advance federal criminal justice reform. 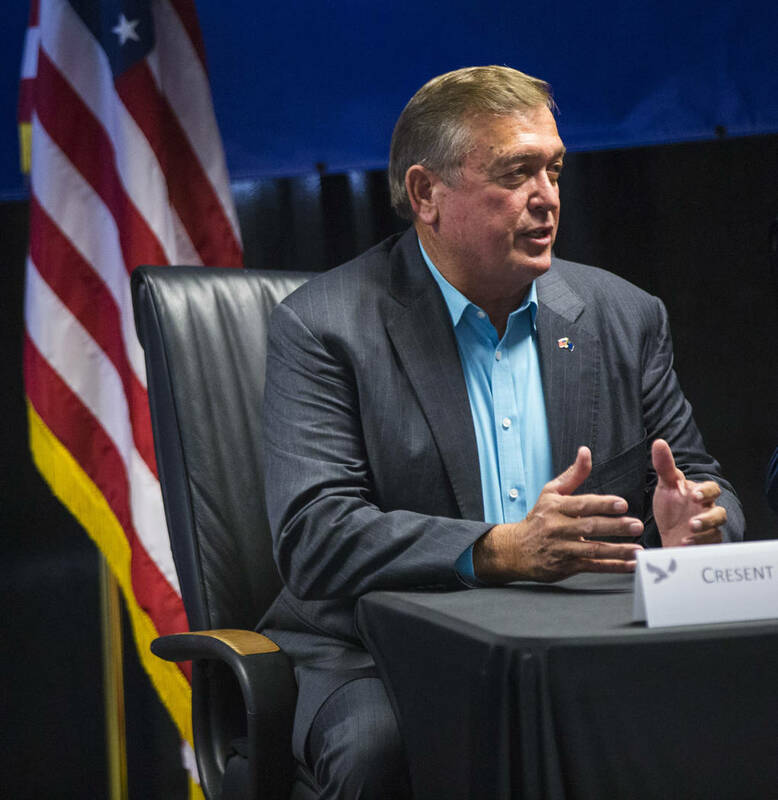 Hardy, a Republican who held the 4th Congressional District seat for one term before losing it in 2016, said before the event that “a lot of people make mistakes in their life,” and the program offers people a second chance. Las Vegas resident Charles Williams, 38, has spent the last four years correcting his mistakes. 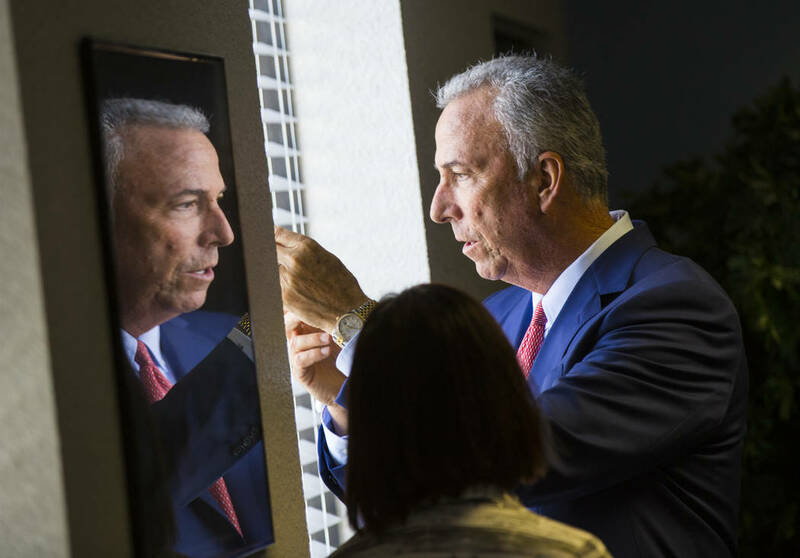 Williams told the Las Vegas Review-Journal following the event that he expected to spend the rest of his life behind bars. He was locked up at age 14 for first-degree murder. He spent nearly 18 years in and out of jail. 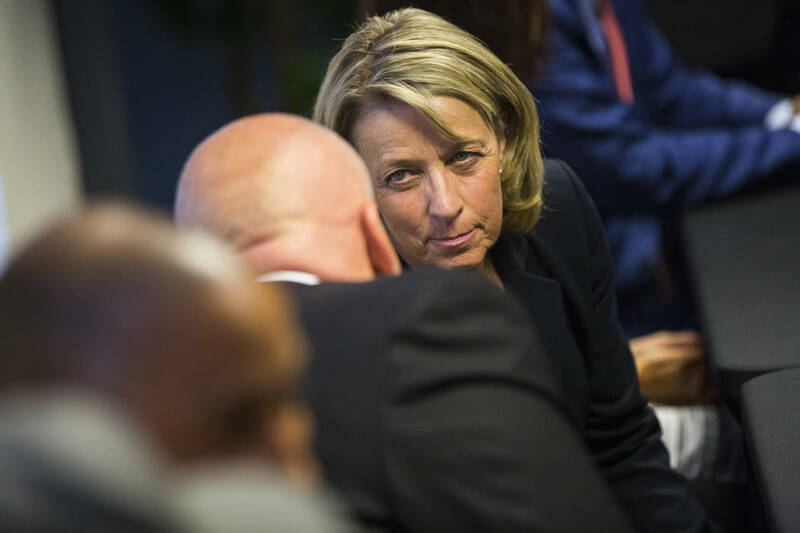 Valerie Murzl, senior vice president of human resources for Station Casinos, said her company has hired at least 20 ex-convicts from the Hope for Prisoners program. “Everyone we’ve hired has been amazing,” she said. One of Williams’ mentors is List, a former district attorney and attorney general who sits on Hope for Prisoners’ board. “Now we see them having families, having jobs, having pride, being alive, giving back to the community and being examples for other inmates, List said. Ryan, who also attended a fundraiser for Hardy on Wednesday, is not running for re-election but has been key in helping raise money for House candidates around the country. Matt McKnight, the campaign manager for Hardy’s opponent, Democrat Steven Horsford, chided Hardy for taking part in the events with Ryan. 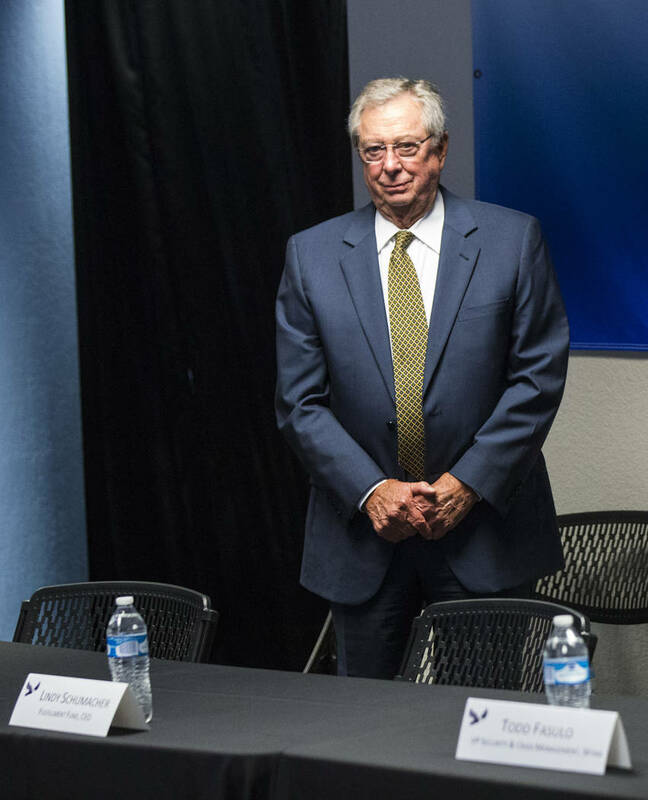 “By campaigning with the architect of a plan to take health care away from Nevadans, the person who has based his career on cutting Medicare and Social Security and has abdicated his duty as Speaker of the House to confront and check a chaotic administration, Cresent Hardy is showing us exactly where he stands on these important issues,” McKnight said.